Having enjoyed visiting Tallinn in Estonia on numerous occasions, we decided to explore its neighbour Latvia for the first time. We booked flights with the low cost carrier Ryanair from Leeds Bradford airport which were very reasonably priced. It was an early start to the day as we needed to get up at 3.30 a.m. to allow sufficient time to arrive at the airport for our 6.40 a.m. departure. The flight departed on time and we were both asleep soon after take off and for the majority of the 2 hour 40 minute flight waking refreshed on arrival in Riga’s modern airport. The queue at passport control moved reasonably quickly and we were soon leaving the arrivals hall and looking for a branch of the newsagents chain Narvesen to buy our bus tickets into the city centre. Fares from the airport to Riga are inexpensive costing only €1.15 if bought from the newsagents or from a ticket machine but rise to €2 if bought from the driver. Bus Nos. 22 and 222 both go into the city centre and take approximately 20 minutes. A bus was about to depart as we boarded and we thought we might have to stand but fortunately we noticed two seats on the very back row. The bus terminated outside the Stockmann department store near the railway station which was close to our hotel. It was only 12.00 noon and we were in need of a drink so we stopped off in a McCafe for toasted sandwiches and coffee before checking in to our hotel, the Ibis Riga Centre in the centre of town. The hotel is in a beautiful, historic building which was constructed in 1895 and has always been a hotel. 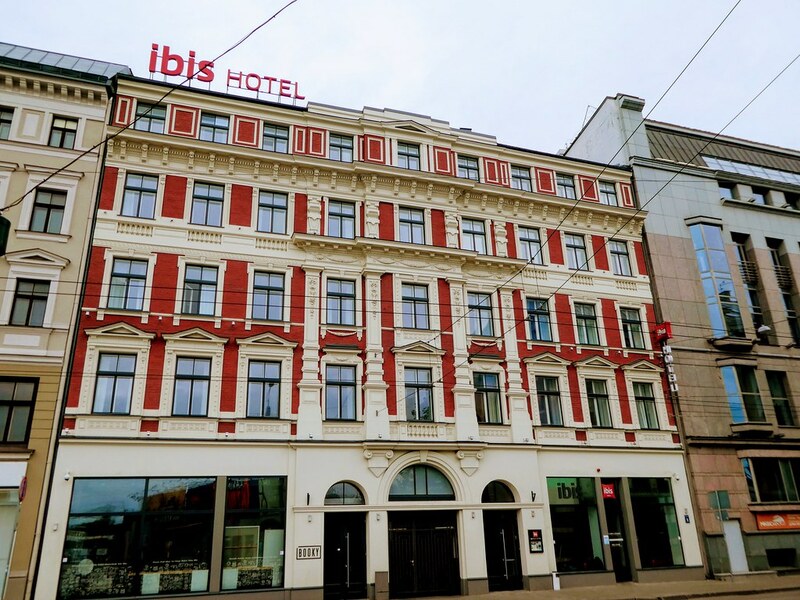 Ibis took over the hotel in 2016 and re-opened it after extensive refurbishments. The foyer was light and airy and checking in took only a few minutes, the receptionist not seeming to mind that we had arrived so early. Our 5th floor room was spacious with pleasant, modern furnishings and after unpacking our belongings we were soon ready to start exploring not only a new city but also a new country to us. We had downloaded Google maps to our phones and also picked up a map from the hotel so we set off on our way, making our first stop at the Riga Central Market located near the railway station. The area was bustling with activity with locals buying fresh fruit and vegetables from stalls surrounding the large indoor halls. 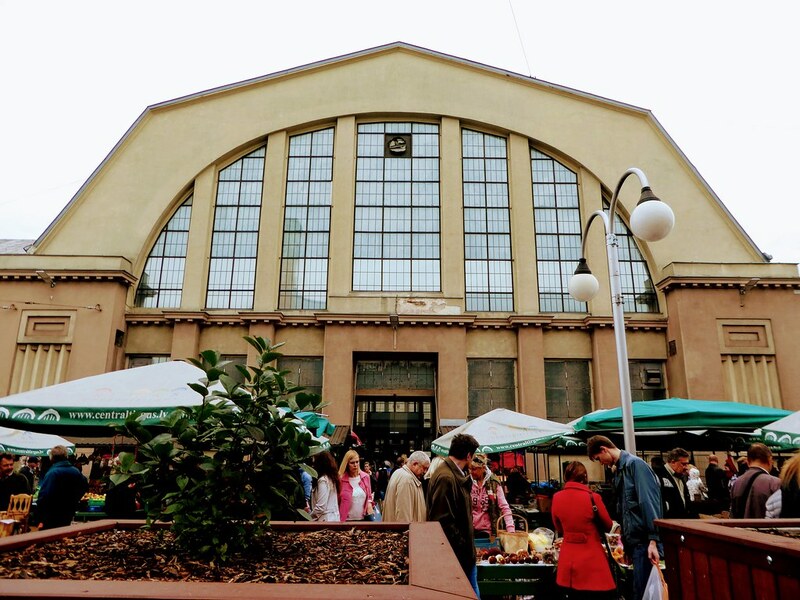 Completed in 1930, the market consists of five pavilions constructed by re-using old German Zeppelin hangars which had been transformed into light and airy market halls incorporating both Art Deco and Neo-classical styles. Leaving there, we made our way over to the historic old town, a designated UNESCO world heritage site since 1998. The old town is a delightful maze of narrow cobbled streets lined with pastel coloured buildings of various shapes and sizes. Many restaurants and bars can be found here with their wooden terraces filled with tubs of brightly coloured flowers. There were people around, but it couldn’t be described as busy, in fact it was just perfect for our afternoon stroll. One thing that disappointed us though was being unable to view the House of the Blackheads which looked magnificent from its photos in our guidebook. Sadly, we had timed our visit during its restoration and there was nothing to see except polythene covered scaffolding ! Feeling ready for a short rest, we treated ourselves to coffee and cheesecake in a cosy cafe and then took a long walk through the esplanade gardens by the side of the canal. Along here we passed an attractive, antiquated circular tea house and the National Opera House. Pleasure boats chugged slowly past with just a handful of people on board, young children fed the ducks and it felt very tranquil and relaxing here, yet so near to the city centre. After a short rest back in our hotel room we had dinner in the Lido restaurant which was near our hotel. 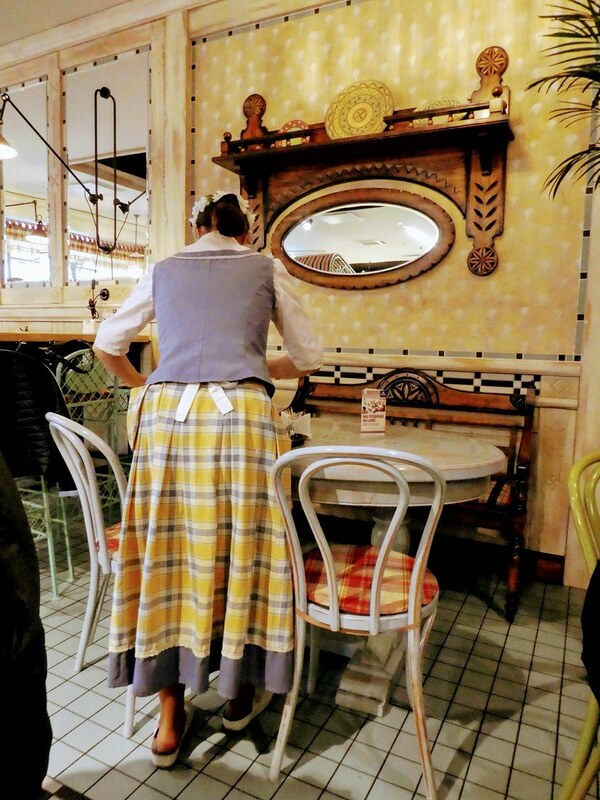 There was a good choice of dishes and the waiters and waitresses wore traditional Latvian dress which made for a pleasant evening. Exhaustion then got the better of us after out early start to the day so we returned to our hotel for an early night. The old town of Riga is beautiful. Amazing pictures, I especially love “Lido restaurant”. Inspires me to visit the area! Thank you. Riga is a delightful city and I would recommend a meal at Lido Restaurant as it’s so nice and very reasonable too. Thank you for taking an interest in my blog and for contacting me. You will love Tallinn – it’s beautiful! I keep reading so many nice things about Riga, I feel like I have to visit it soon! I love that you guys stopped for cheesecake (I can´t resist a cheesecake myself…) and dinner at Lido looked very nice! Thank you for your nice comments. Riga is lovely and I hope you get a chance to visit soon. I was in Riga 13 years ago and loved it. Glad you enjoyed! It’s great to hear from you. I don’t know why it took me so long to visit Riga, I loved it too! Riga looks beautiful, i’ll have to try and get there someday! Thanks for sharing Little Miss Traveller. Thank you for your kind words. I hope you are able to visit Riga yourself sometime. we visited Riga 20 years ago with a Latvian friend. The city is much improved without the Communists. Thanks Paula for your comments. I’m sure it looks much better now! Looks amazing! it must have been lovely to take the time to stroll and view them. Riga was lovely and definitely a hidden gem. Thanks LMT our feet are itching to follow in your footsteps. So pleased to hear from you and to read you are enjoying my Latvian posts. Hey cool site! And Riga is great, I traveled there and also to Vilnius just before NZ and just love both cities! Thanks Rami for your kind words, it’s nice to read you are enjoying my posts. I haven’t made it to Vilnius yet but hope to get there soon! That’s a clever tip! I looked back at my youth in that city with love and excitement. Thank you for taking an interest in this post. It’s good that it brought back some fond memories. Riga is on my list too. And from LBA. Scaffolding seems to be on every attraction I visited last year. I’m sure you will enjoy a short break in Riga Kenneth and it’s very convenient to be able to fly from a local airport. thank u so much for this blog. I needed some details about the place and it is really very less over the internet. Thank you for making contact, it’s lovely to hear from you. It’s good to read this article is useful and I hope you get some more ideas for a visit from the remainder of the Riga series of posts. Our Riga weekend was lovely thank you apart from the rain on our second day. Great presentation of Riga. We have not been there, so I did find it interesting. Thank You. Thanks Matti, I thought you might have already visited Riga as it is comparatively near Finland. I’m sure you would enjoy a visit! Riga looks so beautiful! And so cheap, too. It’s definitely on my list! Riga ticks all the boxes, absolutely beautiful , lots to see and do and extremely good value. Hope you get an opportunity to visit soon. 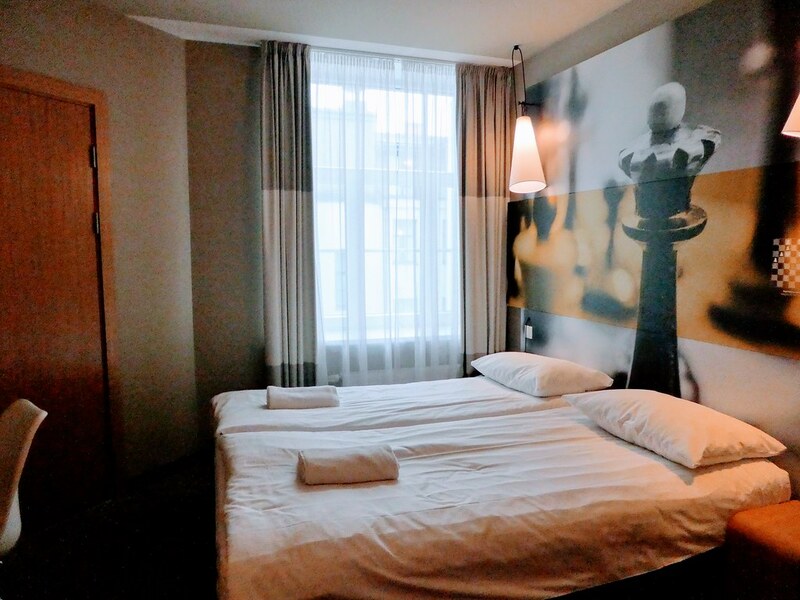 Thanks Christina – you are right, Riga is a delightful city and one of Europe’s hidden gems. Lovely post. I will definitely be following for more travel stories. Glad you enjoyed your time and managed to fit quite a bit in! Thank you for your kind words. 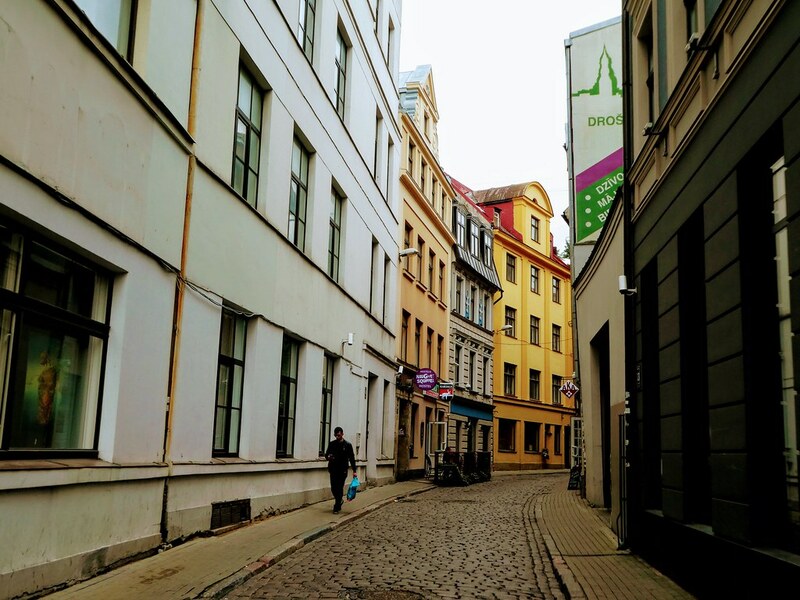 Riga was a lovely city to visit and we found lots of nice things to see and do. So pleased to read that you have also visited Riga Linda, it’s a gorgeous small city. Looks really nice! I’d love to go there in the future, as well as visiting Tallinn. Thank you. Both Tallinn and Riga are lovely places for short breaks. Thanks Jason, I’m sure you would enjoy a short break in Riga. Gorgeous small city and very inexpensive. Hi Ian, it’s nice to hear from you. We enjoyed both Tallinn and Riga. I don’t think the atmosphere differed much between the cities, the old towns on both are equally beautiful. 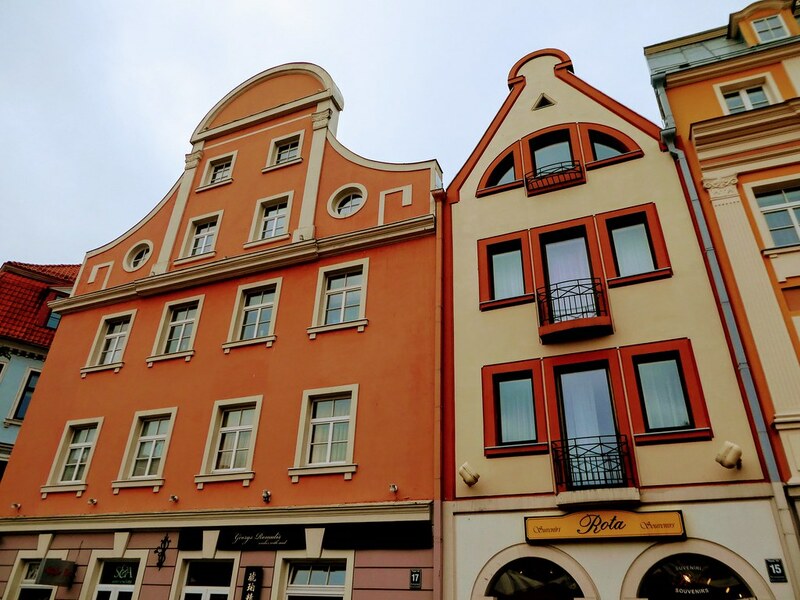 Tallinn, I think, gets much busier with all the cruise liners but I would also recommend a short break in Riga as we found lots of nice things to do during our 4 day visit and visited the Lido restaurants more, too! I’ve travelled a lot over the years but your blogs remind me that I only covered a fraction of this world of ours. There is so much beauty and joy in parts of our world, and so much distress in other parts. Love the cobblestone roads in Europe. Thank you Ian, Riga was a hidden gem and we found some really interesting places to visit. It’s thanks to low cost airlines that we have the opportunity to visit these places. Anyway your blogs are worth visiting as they inform as well as view. Thank you for your kind words. It’s so nice to read that you enjoyed this post. Nice to hear that Riga welcomed you! Lido is something I miss a lot! Riga was such a lovely weekend break and we visited both the Lido restaurants in the city. I’ll have to track done if the others down then next time I visit ! I’m traveling through Estonia, Latvia and Lithuania in September so it’s been really nice to get a flavour for what I can expect in Riga and Tallinn from your writing. Thank you, I’m certain you will have a great holiday. I’ve not been to Lithuania yet but hope to get there before too long. Such a great city, and often overlooked, I loved my trip there too! 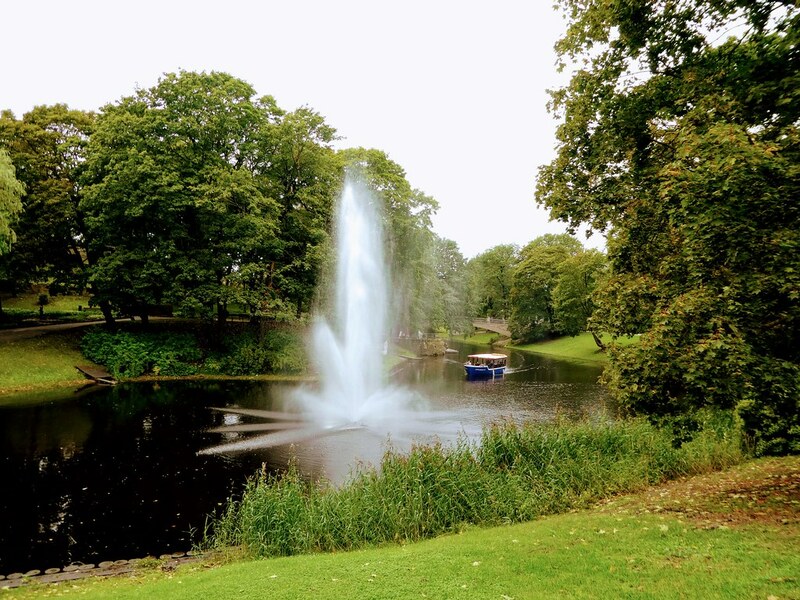 Thanks Nikita, Riga is gorgeous and hopefully my posts will encourage more visitors to visit. Always interested in your travels, but sometimes pressure of work keeps me from commenting! Riga sounded quite laid back while interesting and atmospheric. Glad you enjoyed it! Thanks Joy, so nice to hear from you again. We found lots to see and du during our short break in Riga and enjoyed it very much. I also loved talinn and Riga is in my list of city to visit. It’s my pleasure, I’m certain you will enjoy a visit! Thank you for taking the time to comment. Yes Riga is really nice city to visit. I met with lot of guys who had suggested me about Riga city. Highly recommended. I’m so pleased you also enjoyed Riga. It’s a charming small city. Thanks Jo, Riga’s old town is gorgeous. I’m sure you would enjoy a visit. Yes.. Riga is fantastic place. if you start the exploring the world then you start first day in Riga, Latvia…… What about Bali’s if I share some destination. Thank you . I haven’t been to Bai yet but it would be nice to visit there one day. Thank you for your much appreciated thoughts on the first of my Riga posts. We loved the city and would love to return soon. Riga is such a fantastic city, so full of rich architecture. It’s always such a bummer when you get somewhere and their is scaffolding (I feel this happens to me every.single.time!) Glad you had a nice time. Like the pictures, you’re making me want to go back ASAP!! Thanks Sarah for your kind words. I’d love to return to Riga again too!